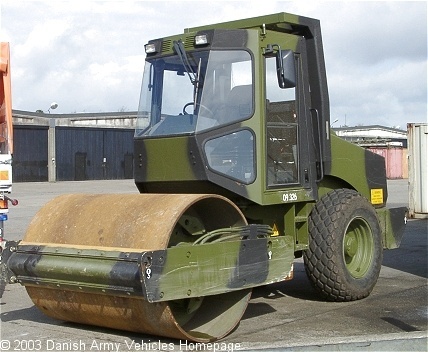 Danish Army Specific: As a result of the Danish assignments abroad (Bosnia-Herzegovina, Kosovo, Eritrea), the need for road construction equipment occurred. As a roller, the Vibromax W 605 was chosen. 1 is deployed with the Danish battalion in Kosovo (KFOR) and 1 was with the Danish forces in Eritrea. Weight: 7.200 kg (15.840 lb).